The EA Dressage Rule Book (current) Available in hard copy from the EA National Office ph 02 8762 7777 (or download from DWA or EA National Website). Of particular interest will be the NOAS and the Notes for Dressage Judges Sections of the rules.2014 Rules are now available in the Rules Menu tab of this website. The FEI Dressage Handbook- Guidelines for Judging – order from EA National - ph 02 8762 7777. The Principles of Riding, German National Equestrian Federation – sold at saddlery shops and Tuxedo Bookshop on the net. The NOAS Workbook and Readings are supplied by the EA National office to candidate judges through Dressage Judges Taskforce. The FEI has just published the FEI test from Senior to Children level. For many the only change has been to add the word “Straightness” to the Submission Collective. Removal of the EA FEI tests and replacing with the FEI tests 1/1/18 for all national FEI competitions. In line with the FEI, incorporate 2 penalties for EOC with Elimination for 2nd EOC. This will now apply from 1/1/18 to all EA FEI competitions. There is the addition of an FEI Medium Tour Freestyle from 1/1/18, which will replace the current EA Medium Tour Freestyle. Collectives replaced by the single Collective mark, awarded for the Rider's position and seat: correctness and effect of the aids. As well as the Collective mark, there are changes applying to some tests with the 1/1/18 date, amongst them, the Inter A & B and the YR Preliminary. EA Preliminary to Advanced to remain in place until 1/1/19 when new tests will be announced. Round at the Australian Young Dressage Horse Championships ( DWJTS). ( In effect there now is only the 6YO Pony Commanded test and the EA Young Pony Test – 6 YO to be used). Some Young Horse Rules have also been modified effective 1 August 2014. Whilst most changes impact on the Australian YH Championships, riders and clubs should note that those clubs wishing to use the State YH Championship format at events, both rounds will count for qualification for National Young Horse Championships BUT only if different YH judges are used on each round. The ADJC has had a query about the following movements in the 5.2. The movement is quite clear it says ‘KX” and “HX” - near the centre line would be between KX and HX - not beyond X. It is expected that for the highest mark it must be at or before X. If the rider crosses the centre line by more than 1 metre before starting the pirouette this will be considered an Error of Course. Given that it is a mirror image movement the bell should be sounded and the rider advised so as to avoid it happening the next time. 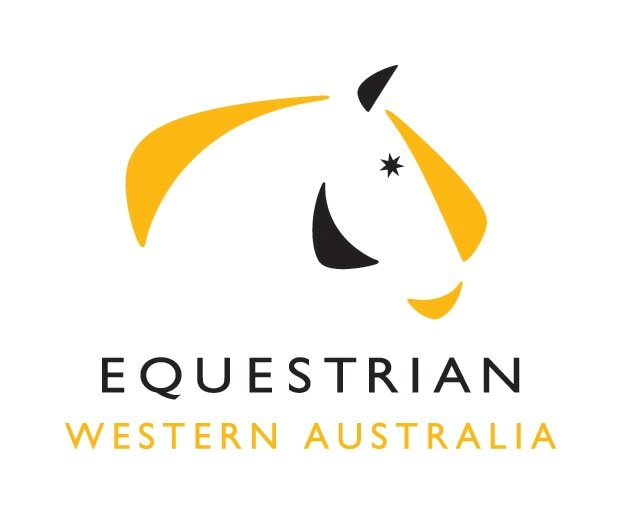 Members and sport stakeholders are encouraged to have their say on the governance arrangements of equestrian sport in Australia as part of Equestrian Australia’s governance review which was launched in February. 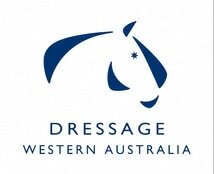 DVD's Available to be purchased form the United States Dressage Federation for our current tests in Australia for 2104. These DVD's show the tests from a Judges Perspective with an Instructor Scoring and demonstrates how these new tests should be ridden. A Big Tour Entry Level Test has been developed to assist in the development of Grand Prix horses. In consultation with dressage riders, trainers and judges, the Australian Dressage Committee (ADC) and Australian Dressage Judges Committee (ADJC) have overseen the development of the Big Tour Entry Level Test. The test is in response to calls from riders approaching Inter II/Grand Prix to have a competition for horses developing to this level. The EA Big Tour Entry Level test has the approval of several of Australia’s FEI riders/judges who have been involved in the development of this test over the past 18 months. Special thanks to Mary Seefried. This test is included in the rule book - Rule 1.12 and 1.14. Performances in this test WILL NOT be an eligible qualification for entry at Inter II/Grand Prix at State and/or National Championships or CDIs. Organising Committees are encouraged to schedule this competition in their schedules. “This is very inspiring and is a very helpful test in preparation for the step to Intermediate II and Grand Prix. In my mind, the shoulder in before the steep half pass helps set up the steep half pass that they later have to do in the GP. The piaffe/passage tours are kind and encourage forward thinking. The canter zig zag inspires the horse to balance and wait before the changes. The medium trot up the final centre line encourages forward thinking on the centre line,” says rider, Nicole Tough. “The test gives horses and riders an opportunity to introduce the movements with a little more time to develop the piaffe and passage. The test looks encouraging allowing the horses to produce the movements (pirouettes and steep trot half passes) on the difficult lines from GP but without having to be as compressed. I look forward to seeing our newer grand prix horses and riders attempting this test,” says A level judge Jane Bruce. “It will certainly encourage riders to progress through to GP, and the way the piaffe and passage is introduced in this test, including the transitions, encourages good training. It is the piaffe and passage & transitions which are presenting the problems. The more opportunity we give riders to work on these movements the better,” says FEI 4* Judge Virginia Creed.